This week-long self drive itinerary showcases the very best of Australia's Coral Coast beginning and ending in Exmouth on the tip of the North West Cape in Western Australia. Swim with dolphins, turtles and even whale sharks of humpbacks! Explore dramatic coastal gorges, meet the friendly dolphins at Monkey Mia, discover the UNESCO World Heritage Listed Shark Bay region, plunge into the depths of Ningaloo Reef Marine Park and swim with the manta rays, dolphins and even whale sharks on this unforgettable adventure. Contact our team of Australia Travel Specialists to find out how you can fit this itinerary into a tailor made holiday. On arrival in Exmouth collect your rental car. Spend the rest of the day exploring this coastal town, famed for being the gateway to the world famous Ningaloo Reef. If time permits spend the afternoon on beautiful Turquoise Bay before visiting Vlamingh Head Lighthouse at sunset for stunning panoramic vistas over the Indian Ocean. Spend the day at leisure. Options include visiting the magnificent Cape Range National Park to marvel at the bountiful wildlife, spectacular canyons and rugged red limestone gorges dramatically cut into the range. You could take a stroll along the Mandu Mandu Gorge walking trail before stopping for a picnic lunch enjoying panoramic views of the canyon below. In the afternoon continue to Yardie Creek, renowned for its wildlife cruises on which the rare black footed rock wallabies and an abundance of unique birdlife can often be seen. Head south to Carnarvon, at the mouth of Western Australia’s longest river – the Gascoyne. On the way, an optional detour takes you to the Carnarvon blowholes to witness an incredible natural phenomenon where jets of water sporadically erupt from the rocks. On arrival in Carnarvon, renowned for producing over 70% of Western Australia’s fruit and vegetables, why not take a tour of a banana plantation or visit the Carnarvon Heritage Centre to learn about the history of this fertile area. Spend dusk walking up the one mile jetty for striking views of the coastline. This morning head south towards Monkey Mia at Shark Bay. Drive along the Shark Bay World Heritage Drive and visit Hamelin Pool; a marine reserve containing the world’s best-known colony of stromatolites; rock like structures caused by microbes being compressed over thousands of years. Continue on to extraordinary Shell Beach, where thousands of miniature cockleshells cover the beach. 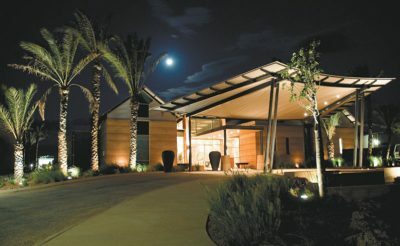 Your final stop on the way to the resort of Monkey Mia is Eagle Bluff Lookout, for panoramic views of Shark Bay Heritage Park and the Indian Ocean. 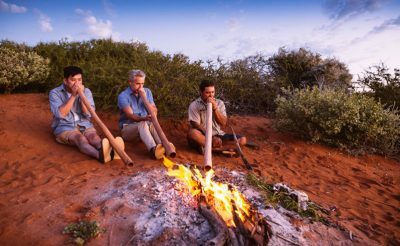 This evening enjoy an indigenous didgeridoo dream-walking tour to learn about Shark Bay’s unique flora and fauna through the eyes of its traditional custodians. Rise early for the morning feeding session with the famous bottlenose dolphins of Monkey Mia. Spend the rest of the day at leisure in this remarkable area. You may wish to explore the dramatic landscapes of Francois Peron National Park on a 4WD adventure with an Aboriginal guide. 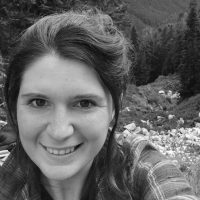 Search for rare and endangered wildlife, learn about Aboriginal medicine and culture and visit some of the most scenic view points of the heritage area. 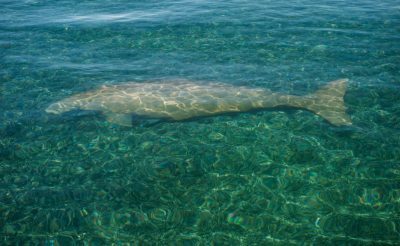 Alternatively enjoy a marine wildlife cruise into the restricted Dugong Management Zone and spend the afternoon with the rare dugong, dolphins and other marine wildlife. Head north up along the coastal road to Coral Bay, stopping in Carnarvon for a local luncheon of fresh seafood. 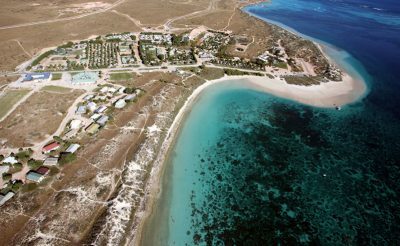 Continue to Coral Bay and the southern gateway to Ningaloo Reef Marine Park. Admire the stunning sunset over the Indian Ocean before spending the evening relaxing and enjoying the catch of the day at one of the local beachside restaurants. Spend the day enjoying the plethora of marine experiences on offer at this UNESCO listed heritage park. Snorkel in the crystal clear waters and see the abundance of marine wildlife that feeds on the reef, or try your hand at scuba diving. If you prefer to stay dry you can enjoy a glass bottom boat cruise or even take to the skies on an awe inspiring scenic flight over the incredible reef. If you are travelling between March and July you can enjoy the once in a lifetime opportunity of swimming with the largest fish in the sea, the whale shark, whilst from August – October you can cruise in search of humpback whales. Continue north towards Exmouth. On arrival drop off your rental car and depart for your onwards journey. 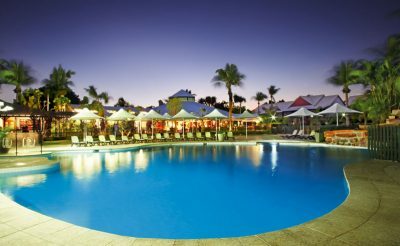 Bayview Coral Bay is a family run resort, located at the heart of the Ningaloo Reef World Heritage area that provides the ideal location to base yourselves for your exploration of Ningaloo and Coral Bay. Cable Beach Club Resort and Spa provides the ultimate place to unwind, with Indian Ocean sunsets, a variety of experiences on offer, an award winning spa and delicious fresh cuisine. 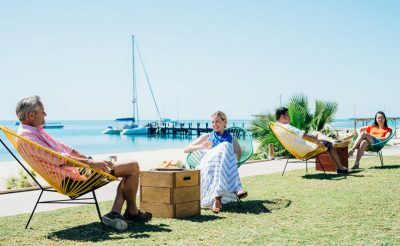 Located on the renowned Dolphin Beach one of the world’s best natural dolphin sighting areas, Monkey Mia Resort epitomises the laid back atmosphere of the region and is the ideal place to base yourself for exploration of the surrounding area. Mantarays Ningaloo Reef Resort is located in Exmouth Marina on Sunrise Beach; the gateway to the world heritage listed Ningaloo Reef and Cape Range National Park. Spend the evening discovering the traditional Aboriginal way of life under a night sky of magnificent stars. 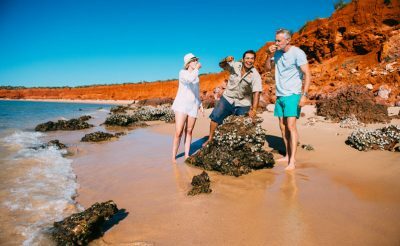 Learn about the Aboriginal culture, history and wildlife of the Shark Bay region on this full day small group 4WD tour to Francois Peron National Park. Spend the afternoon on the 60 foot catamaran “Shotover” in search of the mysterious dugong; the only wildlife sailing cruise in Australia to offer scheduled “mermaid” (dugong) watching cruises. 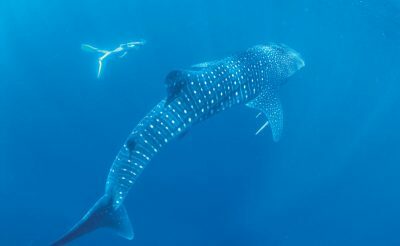 Experience a once in a lifetime opportunity to swim with the largest fish on earth, the whale shark. 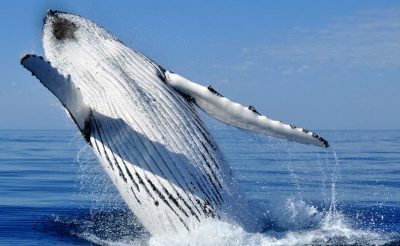 Spend the day out on Ningaloo Reef accompanied by professional guides in search of the majestic humpback whales that frequent these waters between August and October. 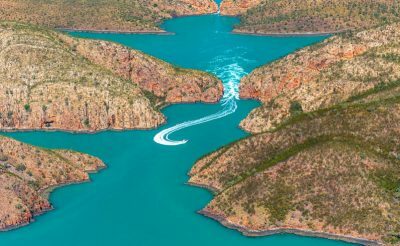 Explore the spectacular and uninhabited islands of the Buccaneer Archipelago and the stunning Cape Leveque on this half day scenic flight.